Our priority is to help you take care of yourself and your family today, tomorrow, and for years to come. We accomplish this by setting financial goals and developing strategies tailored to your unique situation, dreams, goals, and risk tolerance. 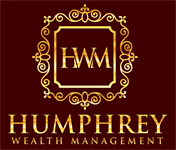 While harnessing state of the art technology and investment solutions for our clients, we believe in the single most important element of wealth management: trust. Relationships are the cornerstone of our firm and the foundation of our clients’ success. We are driven to provide the guidance and strategies that help grow your wealth, advance your most cherished goals, and provide the assurance that tomorrow may be more secure.